Jay Leno and Bryce Harper are joining the force of Las Vegas entertainers and homegrown talent to take the stage Friday, December 1 at T-Mobile Arena for the Vegas Strong Benefit Concert, a special evening of entertainment supporting the victims of the October 1 tragedy. 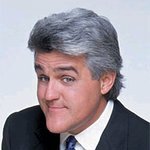 Leno, a Las Vegas headlining comedian; and Harper, Washington Nationals outfielder and Las Vegas native; will join Boyz II Men, Cirque du Soleil, David Copperfield, Imagine Dragons, Penn & Teller, The Killers, and more for an unprecedented fundraising event benefiting the Las Vegas Victims Fund. Tickets range from $75 – $125 and are available online at www.AXS.com or by calling the AXS Call Center at 888.929.7849. Tickets also may be purchased at any MGM Resorts International Box Office or Concierge Desk. Anyone can donate directly to the relief of those affected by the Las Vegas shooting by simply texting VEGAS to 20222 to give $10 to the National Compassion Fund. T-Mobile customers will see the donation on their next T-Mobile bill. Message & data rates may apply for customers who aren’t with T-Mobile. The National Compassion Fund continues to support the immediate and long-term needs of the victims of the October 1 shooting in Las Vegas, Nevada and donations are providing critical support to the victims and their families. 100 percent of the funds raised will be distributed to the victims of Las Vegas. For more information on text-to-give, click here.